Asianet Nammal Thammil 2013 would have Ganesh Kumar as the new anchor for upcoming episodes. 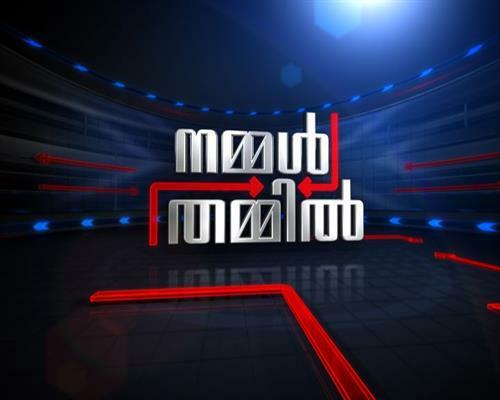 Nammal Thammil, being one of the top rated programme in Asianet is a unique platform which discuss about various social issues. This show is being telecast every Saturdays at 10 PM. Starting with Sreekandan Nair; the show had Jagadeesh, Arun and John Britas as the anchors. The talk show Nammal Thammil is one the highlight of Asianet, one of the leading entertainment channels in malayalam. Being one of the top rated programme in Asianet, Nammal Thammil has set a platform to discuss about various social issues. This unique debate show being aired every Saturdays at 10 PM is set to talk about any topic which comes under the sun. Nammal Thammil started a decade ago with Sreekandan Nair as the anchor used to discuss matters like piracy, life after death, Ayurveda, women harassment, Kerala Police, television shows, cinema and much more. As the issues in discussion are new and hot, the viewers are interested to watch it. Invited personalities which include ministers, film stars, high officials, civil servants, doctors, astrologers and others make the show live and attractive. After Sreekandan Nair leaving the channel, the show had Jagadeesh, Arun and later John Britas as the anchors. This one hour talk show is now having a total transformation as K B Ganesh Kumar, the former minister and actor will be seen in a new avatar. Ganesh Kumar who is having a vibrant personality and having knowledge about a range of subject matters would take the show to the next phase which can keep the television viewers intact. With channels in malayalam looking forward to revolutionize the mode of entertainment, Nammal Thammil can bring more spectators who are interested to watch talk shows which discuss relevant topics. Sreekandan Nair show anchored by Sreekandan Nair which is currently being telecast in Surya TV does have a high rating. Jeevan TV, Amrita TV, People TV and other malayalam channels arrange interesting hot talk shows.